we are known for providing the utmost customer experience and a welcoming family-friendly environment. We are dedicated to providing you with the very best food and drink experience around. Famous for our buffalo wings, we offer 14 different flavors that will keep your taste buds guessing. Not a wingman? Try one of our signature burgers instead! The wings here were absolutely amazing!!! Love the hot, spicy garlic, and Asian garlic wings!... This was my wife and I&apos;d first time in with our friends and it won&apos;t be our last she left a great impression with us! Good prices on wings for their weekly special! 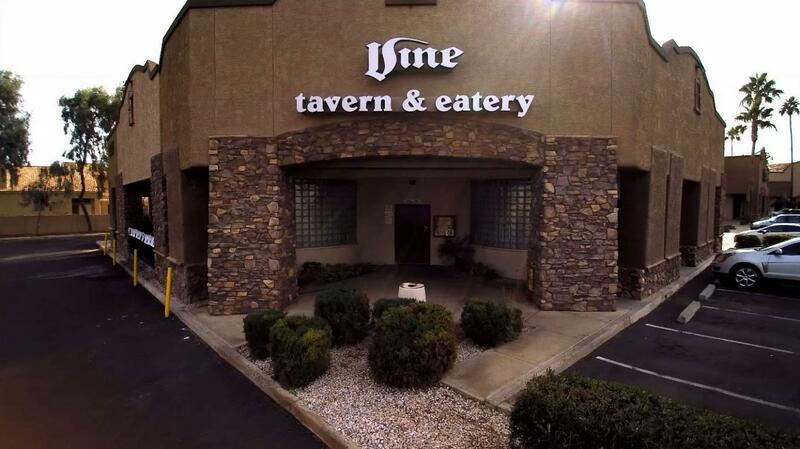 The Vine has been a favorite for years and for good reason - good food, good specials, good service and good atmosphere. I&apos;ve watched many memorable games from The Vine, shared plenty of office gossip with coworkers over the wonderful Happy Hour...My favorites are the Little Joe Sliders with Fries and the wings. Sometimes in the same sitting. Love the vine even more after the re model! Great atmosphere, cold beer, awesome food, and attentive staff all around! Get the Asian garlic grilled wings! Had such a good time with my wife had taken here on a date and enjoyed a bottle of wine and great food I was impressed as soon as I walked in, high end dinning experience well priced.